The International Holocaust Remembrance Day designated by UN resolution is observed every year on January 27th. January 27th marks the anniversary of the Allied liberation of the Auschwitz death camp in Nazi-occupied Poland, where an estimated 1.1 million people died, including 1 million Jews. 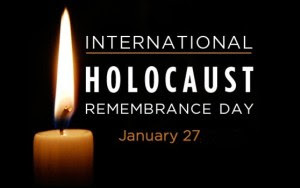 The day is part of the efforts to educate about the dark phase of humanity and to deny any efforts to reject Holocaust. The UN resolution which designated January 27 as "The International Day of Commemoration in Memory of the Victims of the Holocaust", calls for education programs on the Holocaust to help prevent genocide and rejects denials that the Holocaust occurred. The International Holocaust Remembrance Day is celebrated every year since 2006. Jewish groups, particularly in Israel observe Yom HaShoah, which is a day of mourning for Holocaust victims on the 27th day of the Hebrew month of Nisan, which falls in April or May of the Gregorian calendar. Q. When is the International Holocaust Remembrance Day observed every year?